The People at Alembic are extremely nice people! When I used to carry them they would go so far as to send real homemade cookies at Christmas, they were very easy to work with and very patient with questions etc etc. However the Alembic pricing system creates a real problem, Any company that wants to try to intelligently calculate their cost and margin simply cannot operate under their parameters. Problem 1. 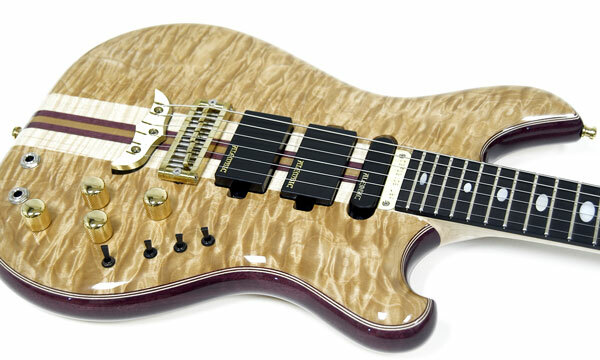 Alembic guitars take so long to come in that the chances of a price increase are quite good. Granted they will give you price protection but you never are really sure what it's gonna cost when it arrives. (Alembic Price increases are usually huge). Problem 2. Alembic offers this insane monthly special. For example. One month it's a free logo or free LED lights or free fancy wood top etc etc. So when you place your order you get this credit applied. By the time the item arrives you can't remember what was on special that month. So if I happen to have the Guitar you want in stock. And I quote my customer a fair price. Then I find out that there is a free set of Omega cutouts no charge that month value $750.00. I could potentially lose money on the sale. No Thank-you !!!! I need that like I need another hole in my head. Problem 3. Alembic's dealer discount is shorter than most guitar companies. and it's a sliding discount basis on how many you buy. sometimes it's a 40% discount and sometimes it's a 30% discount. 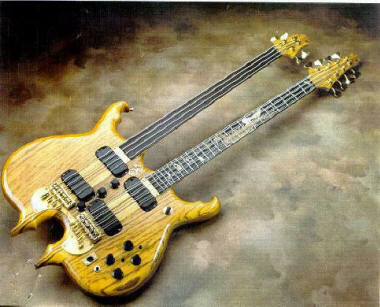 If you own an Alembic Bass you already know it's a great instrument. The Classic Northern California Hippie Sandwich Bass is an excellent instrument. For those who also want a different type of sound. The sound that only comes from a bolt on instrument. Ed Roman recommends The Dingwall Bass, The Lowrider Bass and the Quicksilver Guitar. I have always been an admirer of the hand built, old world craftsmanship style guitars. I have personally been less intrigued by the mass produced machine made guitars that get most of the attention among the older baby boomers and "Vintage" collectors. If you spend any time surfing my website that will become apparent pretty quickly. Alembic is probably the very first company that I can remember that was known as a quality hand built type company. They built instruments for John Paul Jones of Led Zeppelin and most of the members of the Grateful Dead, and they really struck gold when Stanley Clark adopted their Bass. FYI Ron Blake, who is currently my #1 Luthier, entirely built Stanley's Carl Thompson Piccolo Bass. 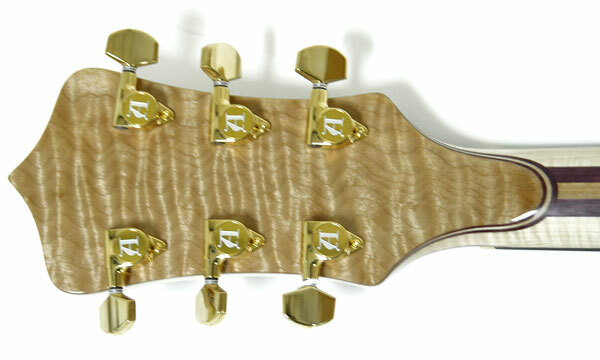 Alembic pioneered the multi laminated neck through body design that is favored by today's top bass builders, myself included. They use obscure exotic woods in their search for high quality tone. Most brands of instruments are built with passive "non active" electronics, though some of them are active, (battery powered). Alembic was the first company to popularize a true electric instrument. Alembic guitars actually plugged directly into an AC power supply. This gave them some advantages tonally. Plus it allowed some cool options like LED's (light emitting diodes) for position markers. I believe that a guitarist should use a little common sense in making a decision to buy a guitar. I believe that most guitars on the market are well constructed and play well. (even the ones made by the big corporations) I strongly suggest that guitarists should OPEN their minds to accepting the smaller companies that still hand-build they are basically the innovators of the industry. Tribute is also available with the skull or tiger inlays. Further is also available with the skull or tiger inlays. and Maple Neck Laminates, Side Red LED's, Inlaid Alembic Logo. 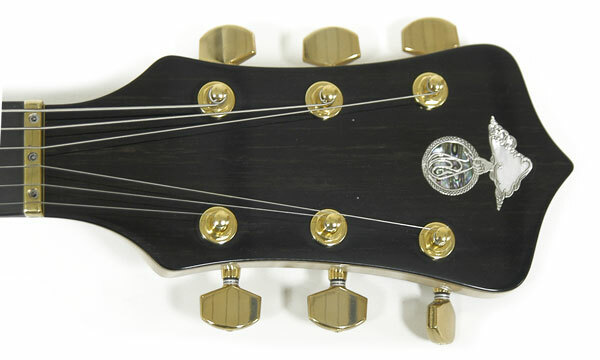 In Brass in the Body, Active Electronics, Ebony Fretboard.